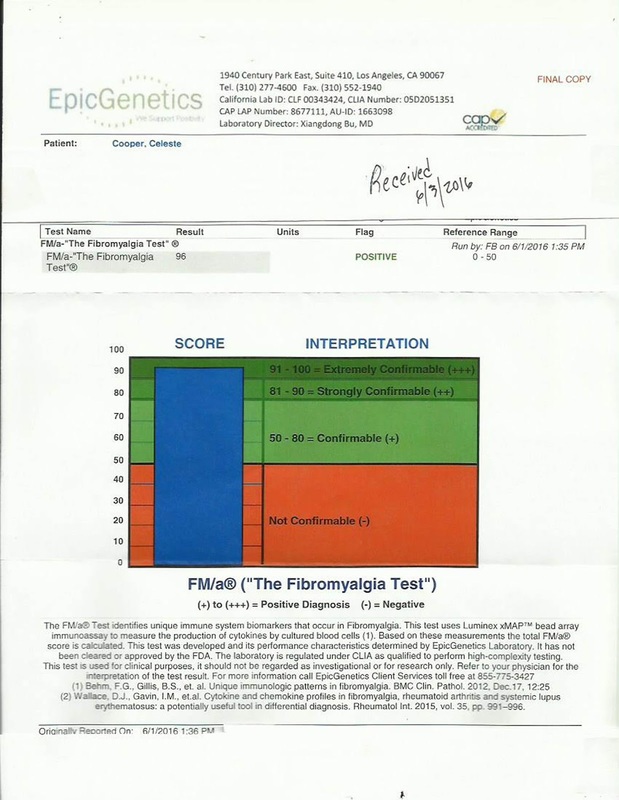 As many of you know last month I wrote, “Blood Test for Fibromyalgia: FM/a Test® Is Real, QA” for fibromyalgia awareness. My opinions for that article are based on research review and news articles surrounding the test. As promised, I will now share with you my personal experience. My test results are in! Following are the steps I took. · I went to https://TheFibromyalgiaTest.com/ scrolled to the “click me” button in the “Ready to Get Started” area at the bottom of the page. · The next page - The FM/a® Test must be authorized by a licensed physician. My rheumatologist ordered the test for me. *Note: If you do not have a physician, please call 310-277-4600, M-F, 9am-5pm (PDT) and we'll help you find a fibromyalgia-friendly doctor at no charge. · I printed the Physician’s Authorization Form, filled out what I could, and left it at my doctor's office for him to sign. My doctor's nurse, who is a peach, then faxed it to the number on the form. · Next, I answered "Yes" to 11 of the 12 questions. *You must be able to answer yes to at least four questions. · I filled out the “Customer/Insurance Information Form”. Within a few days, I received a phone call from the coordinator letting me know my insurance provider authorized coverage (as are many). She answered all my questions and reassured me the test kit would include step-by-step instructions. (Something very important to those of us with fibrofog). 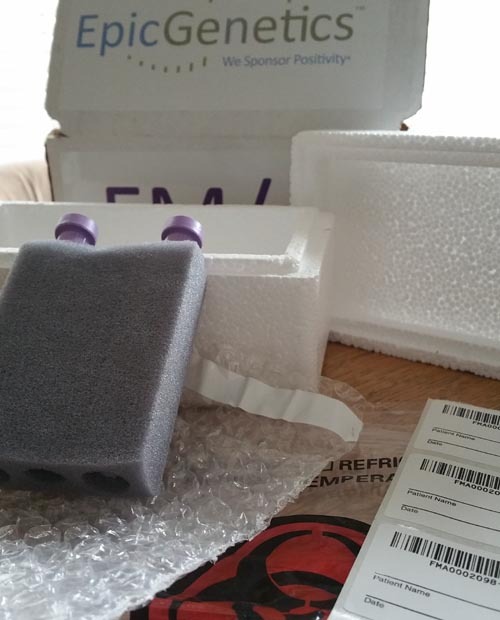 · The kit arrived within a few days, along with a prepaid Fed Ex bag. *Note: The medication form instructs, “Do not take the following drugs for 5 days prior to having your blood drawn, steroids, anti-cancer treatment drugs, or anti-rejection transplant drugs”. · I prearranged the Fed Ex pick up for the same day my blood was drawn. · Quite helpful is the specimen submission checklist because it has specific instructions on what to include with the specimen, handling and packaging of the tubes, Fed Ex copy, a contact number if you have questions, and the phone number for Fed Ex. · The specimen must be received within 24 hours after the blood is drawn. · DO NOT draw blood on Friday because "Overnight" express will not deliver until Monday, which the coordinator had told me during our phone conversation. I hadn’t thought about all of the things that are included in the cost of the test. · Arranging for a phlebotomist to collect blood samples. · Pre-authorization with your insurance carrier. · Phone consultation regarding instructions and concerns. · Working with physicians, or finding a physician if necessary. · A specialized lab for running the results. I mailed my specimen on a Wednesday, and the results took about a week. The FM/a® test gives me concrete objective evidence that I can share with all those on my healthcare team. No more questioning that my symptoms are due to a biological problem. If you have read Integrative Therapies for Fibromyalgia, Chronic Fatigue Syndrome and Myofascial Pain: The Mind-Body Connection, you know how important it is that I make sure all my doctors include the report in my medical records. It is equally reassuring to know that I contributed to changing the way fibromyalgia is perceived. 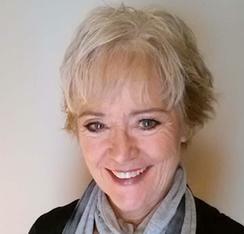 After decades of literature review, maintaining a website and blog, contributing in the past as a fibromyalgia expert at Sharecare, and writing for ProHealth and Health Central, my work and my diagnosis are validated. Will I continue to follow my own advice for living with fibromyalgia and the overlapping conditions I experience? Yes, absolutely. The coping strategies we discuss in our books are paramount to emotional, mental, and spiritual healing for any chronic illness. With the FM/a Test® available to researchers, there leaves no margin for error in identifying study participants. And, like HIV and AIDS, one day the consequences of fibromyalgia will be arrested. 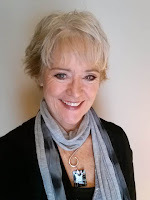 A Year of Fibro: Musings, Writings, and Opinions, includes links to all my freelance writing, blogs and information from my website on fibromyalgia. I had not heard of blood tests for fibromyalgia but I always knew that someday medical science would find some definitive testing for the disease. I remember back in the day when my PCP thought Fibro was a psychiatric illness, some still do I guess! Came by way of Chronic Illness Bloggers. You are right Emily, some still do consider FM a mental disorder because they are misinformed and mislead by the rhetoric. Misdiagnosis leads to the misfortune of the wrong treatment. Mental illness is very real, and requires direction and treatment by a psychiatrist and a qualified psychotherapist. The 3 medications approved by the FDA are the least effective compared to others. BIG pharma has contributed to the misfortune of many for their personal gain. There are pharmaceuticals that specialize in finding the right treatment too, for these, we pray they will look at medications that address the immune dysfunction of FM. What would you suggest as treatment. .i take 2 percocete a day and flexrill at night...i am amble to live sort of normal except on very bad days. I have tried all the other meds they did nothing for me so I got off all of them. Thanks for being so complete in your info Celeste. I would love to take the blood test. After 31 years with Fibro it would be great to have "proof". It's great how far Fibro research has come in the past 30 years. Addison's is another tough one. Fibro is seldom a stand alone disorder. And yes, there has been much joy and much anguish regarding FM research, but for those of us who have watched closely over the last few decades, we have seen progress. Keeping the naysayers at bay can be achieved when such an overwhelmingly painful, multi-symptom disorder gets the research funding it deserves. Thank you for taking the time to comment. Share with others when you feel appripriate. Together we stand. I'm proceeding with trying to get this test myself... my me/cfs and fibro specialist signed off on it, so we will see if insurance comes through. I find it very exciting, if it is positive, it may help with my application for disability benefits. The only issue I have with it is the company's conflation of CFS and fibromyalgia, which I do not find helpful, and strongly feel are not the same disorder after being diagnosed with both at different times. They feel very different initially, but over time as you have both it's hard to tell one from the other except the PEM/PEF symptom, which I think is very clear cut ME not CFS or FM. 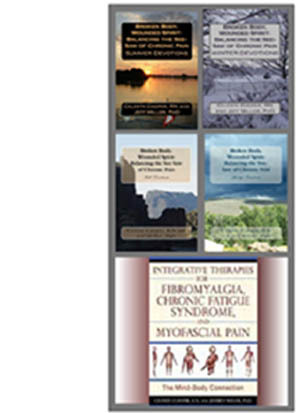 Beka, we write about the differences in our book Integrative Therapies for Fibromyalgia, Chronic Fatigue Syndrome, and Myofascial Pain. I agree, they are indeed different with different diagnostic criteria. While there has been more research since writing the book in 2010, the general underlying research is proving what I found through years of pouring over the literature and thus far, the other information is still timely. We have had some tainted pools of participants because of the wavering diagnostic criteria and the cross over of several symptoms. Dysautonomia is alive and well in both, though the pathway varies between the two. Now we are learning there are many subsets to ME/CFS making the water murkier. I am grateful for having the FM/a Test. I have always suspected the immune component. There are too many comorbid disorders to deny it. Whether the immune problems are instigated from brain misregulation or in the periphery (as evidenced by the number of patients with Lupus, RA, autoiommune thyroid disease, etc.) is a question that needs to be answered. Studies on the genetics of FM are finally coming to fruition. Thank goodness we have researchers who think outside the box and refuse to give up. Best of luck with your insurance. Hi Celeste, this is wonderful news! I was diagnosed with FM in 1989. It's been a long haul but here we are. Persistence pays off. I am currently without a FM specialist because I'm not able to travel to get to one, but will begin the process of having this test done with my current PCP. He seems open to helping in whatever way he can. Thank you for all you do and have done. You are a lady with great persistence!